Looking for a vehicle that matches its performance and design for your drive around Barrington? The 2019 Alfa Romeo Giulia interior delivers in every important category- from advanced technology to leading safety features. View the interior amenities of the 2019 Alfa Romeo Giulia and find out why it’s a favorite among automobile aficionados today at Zeigler Alfa Romeo of Schaumburg. 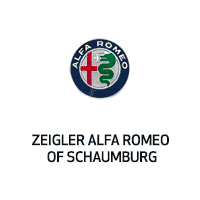 At Zeigler Alfa Romeo of Schaumburg, we want to make your experience browsing or buying the 2019 Alfa Romeo Giulia as enjoyable as possible. You can use our easy online tools to calculate monthly payments and value your trade-in. Once you find an option that works for you, apply for financing online and we will have options in hand when you arrive for your test drive around Schaumburg! 0 comment(s) so far on What Interior Features are in the 2019 Alfa Romeo Giulia?